I often call chocolate the best-known food that nobody knows anything about," said Alexandra Leaf, a self-described "chocolate educator" who runs a business called Chocolate Tours of New York City. The terminology can be a little confusing, but most experts these days use the term "cacao" to refer to the plant or its beans before processing, while the term "chocolate" refers to anything made from the beans, she explained. "Cocoa" generally refers to chocolate in a powdered form, although it can also be a British form of "cacao. Etymologists trace the origin of the word "chocolate" to the Aztec word "xocoatl," which referred to a bitter drink brewed from cacao beans. The Latin name for the cacao tree, Theobroma cacao, means "food of the gods''. Many modern historians have estimated that chocolate has been around for about 2000 years, but recent research suggests that it may be even older. In the book The True History of Chocolate, authors Sophie and Michael Coe make a case that the earliest linguistic evidence of chocolate consumption stretches back three or even four millennia, to pre-Columbian cultures of Mesoamerica such as the Olmec. Who would have thought, looking at this, that you can eat it?" said Richard Hetzler, executive chef of the café at the Smithsonian's National Museum of the American Indian, as he displayed a fresh cacao pod during a recent chocolate-making demonstration. "You would have to be pretty hungry, and pretty creative! By the 17th century, chocolate was a fashionable drink throughout Europe, believed to have nutritious, medicinal and even aphrodisiac properties (it's rumored that Casanova was especially fond of the stuff). But it remained largely a privilege of the rich until the invention of the steam engine made mass production possible in the late 1700s. In 1828, a Dutch chemist found a way to make powdered chocolate by removing about half the natural fat (cacao butter) from chocolate liquor, pulverizing what remained and treating the mixture with alkaline salts to cut the bitter taste. His product became known as "Dutch cocoa," and it soon led to the creation of solid chocolate. I see more and more American artisans doing incredible things with chocolate, Leaf said. "Although, I admit that I tend to look at the world through cocoa-tinted glasses''. Preheat oven to 350 degrees. Spray bundt pan with nonstick cooking spray. In a large bowl, add cake mix, mayonnaise, water and vanilla extract. Mix well. Pour batter into bundt pan. Bake for 25 to 30 minutes or until toothpick inserted in center comes out clean. Let cool 15 minutes before removing cake from pan. Enjoy! what an interesting cake - mayo with chocolate! well i guess since mayo is eggs and oil, it works well! :D hope u are having a fantastic week! I've always heard that chocolate mayo cakes were the best....that one looks sinful! Wow! That looks so tempting! What a great info. I love your chocolate cake. It looks really inviting. Thanks for the recipe. Interesting chocolate information. I never tried using mayonnaise in a cake before. I usually use yogurt. I think I will give your recipe a try soon...!!! Different than a normal cake but I like different. This looks so rich and decadent! I don't think I've made one of these since high school, but I do remember it being a super moist and wonderful cake. Thanks for sharing, Christine! Hi Diane, any chocolate cake mix would work well. Thanks for stopping by. Hi David, I'm happy you learned a couple of new things from reading my blog. Very good post! Thanks for all the information and a great recipe! Hi Tina, the cake taste wonderful! Yum! Thanks for stopping by. I would never think of adding mayo into a cake. What a cool idea. I really don't like mayo but i am sure i can't even taste it in this chocolate cake. 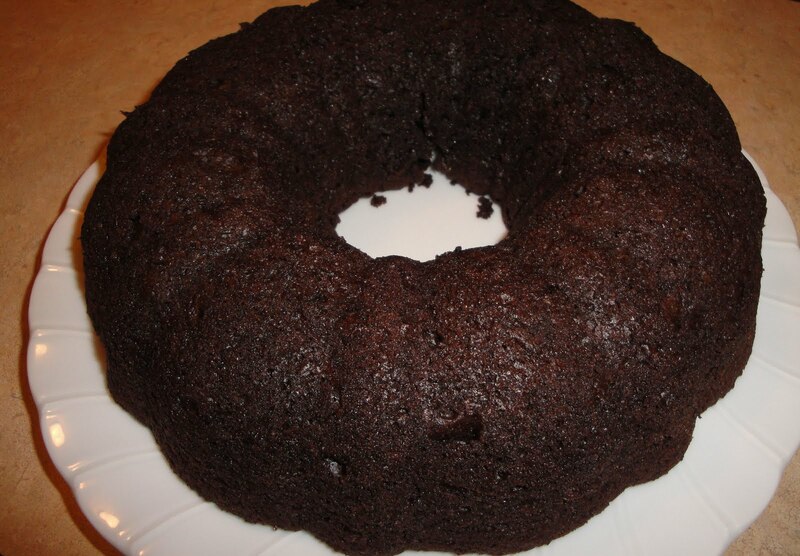 Next time i have a chocoate fudge cake mix in the house, i am gonna try making this. I bet this cake is super moist! It looks so good! Hi Cakewhiz, you really can't taste the mayo in the cake. Mayo is eggs and oil. Thanks for stopping by. Hi Steph, the cake is moist and yummy! Thanks for stopping by. Hi Anonymous, thanks for the friend request on FB, I accepted. I did visit your blog. Nice blog. I'm your newest follower. Thanks for stopping by. great info on chocolate, I learned a few things! I guess the mayo acts like oil in the cake, I've never tried it but certainly looks like it came out really well! Hi Wilde in the Kitchen, thank you so much! 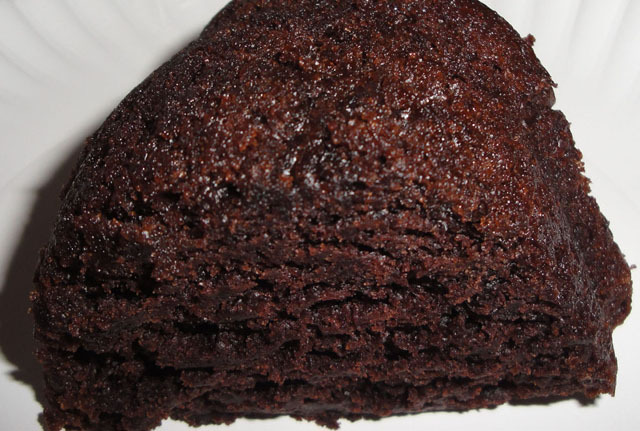 Chocolate Mayonnaise Cake is the best!!! I never saw a recipe that used a cake mix though. Right up this girl's alley for sure. Thanks for sharing and BTW, Happy National Fudge Day!!! am not a chocolate fan but whenever someone says chocolate i think of chocolate cake .. no frosting .. just plain chocolate cake and I start craving for it :) This is a great recipe. Don't think I could cross the line and put mayo in a cake - (I've got a huge mayo aversion lol) but it looks like it would be a winner. Thanks for all the great chocolate info! Oh chocolate cake is so yummy! this looks so moist and delicious! Mayo really makes cakes moist. This one looks super moist. Hi Chrissy, I didn't tell anyone about the mayonnaise in the cake, until after they ate the cake. Good brief history of chocolate, Christine. I'm not a fan of mayo, never have been, but if you didn't tell me this had mayo, I'd try it because it looks very good, dark and moist. Sorry it has taken me a while to comment, I've at a four day convention. Hi ChocolatePriestess, no need to say sorry. oh wow! what a delicious cake! Wow! What a great article so well researched and informative. Learning about chocolate is almost as fun as eating it, almost:) Thanks for participating in the YBR & Have a great weekend!